It’s Friday, signifying the end of one more working week. The odds of you being productive on the job today lie between “slim” and “none,” which is why we’re telling you to head on over to the Ford Mustang Customizer Website. What’s there? The chance to build your very own custom Mustang V6, GT, Boss 302 or Shelby GT500. You can choose custom paint, revised bodywork, unique wheels, custom stripe packages and even different backgrounds to view your custom ‘Stang against. If you think you can beat Ford’s designers at their own game, you can even upload your completed Mustang to Facebook, where you can convince / bribe / threaten friends and relatives to pick your design over everyone else’s. What do you win if you rack up the highest number of votes? 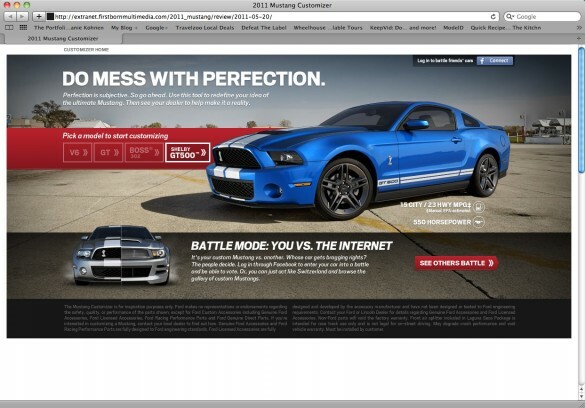 Nothing but bragging rights, and the opportunity to know that you’ve designed the baddest Mustang on Facebook. If you fall in love with your creation and have to see it parked in your driveway, Ford will even supply a list of the Ford or aftermarket components picked to design your one-of-a-kind Mustang. Building just about any configuration is ultimately possible, but it certainly won’t be inexpensive. If you’re a Mustang fan, the configurator site is guaranteed to take up at least a half-hour of your time, for each Mustang built. In other words, you have 16 Mustangs to get through before 5:00 rolls around, so you’d best get busy. 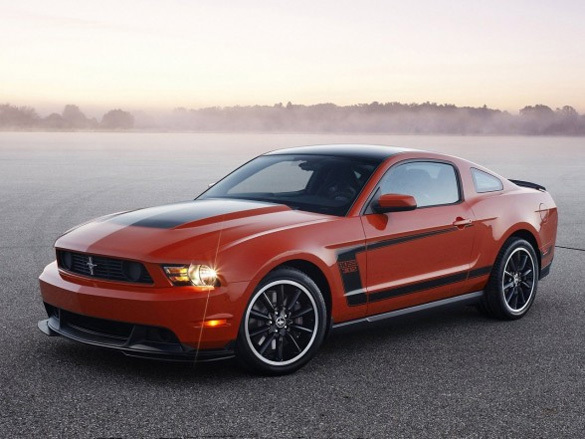 If you’re one of the lucky Ford Mustang Boss 302 buyers, get ready to burn some vacation time. Included with the purchase of every Boss 302 Mustang is something that Ford is calling the “Boss Track Attack” program. Held at Miller Motorsports Park in Tooele, Utah, the Track Attack consists of a welcome reception and dinner followed by a day filled with instruction and flogging of cars in the Utah desert. The best part? Ford is even supplying the Boss 302 and GT Mustangs, so you get to use up their tires, brakes and gas, not your own. If there’s a down side, it’s that owners are responsible for getting themselves to and from Tooele, Utah, for the event. Just in case you needed a reminder, the Boss 302 Mustang is the “track ready” Mustang model that slots in about the Mustang GT but below the Shelby GT500. Compared to the Mustang GT, the Boss 302 gets a heavy-duty clutch, a short throw shifter, retuned traction and stability control, revised steering, stiffer springs and beefier sway bars. The engine gets a boost to 440 horsepower, and the exhaust can be routed out the back (via a conventional dual exhaust setup) or out the low-restriction sidepipes for track duty. 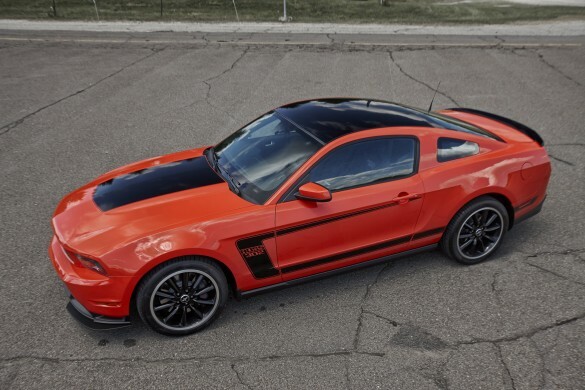 The Boss 302 also gets a more aggressive exterior, special paint and a track-centric interior. Ford is only building a limited number of Boss 302 Mustangs, which start at $41,000, and most dealers will be allocated no more than one. Expect heavy and painful price gouging from dealers, fueled by “investors” who’ll sadly never drive the car the way the Ford engineers meant it to be driven.